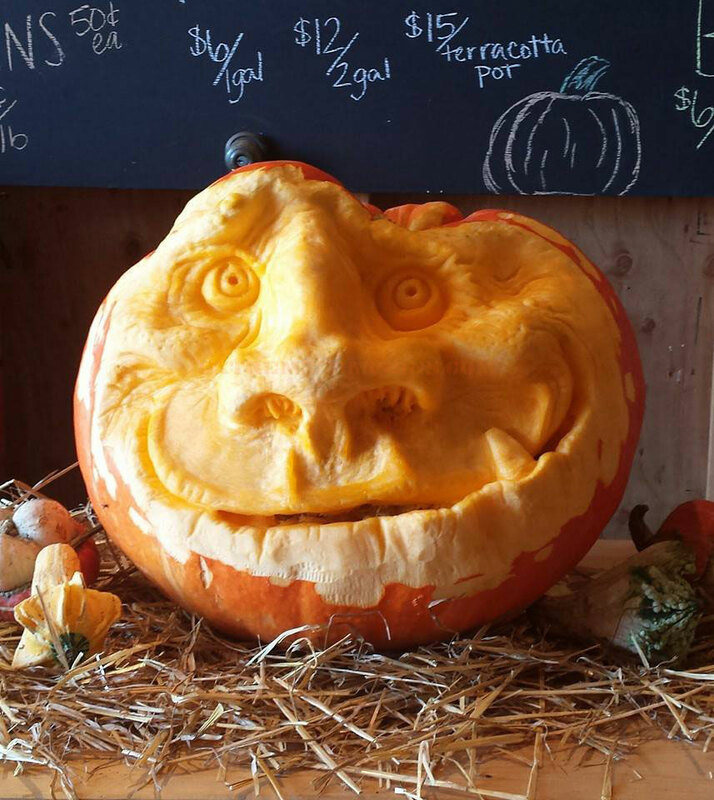 What is the pumpkin ghoul doing? Is he stationed at some type of market? At first I thought he might be in a class room. That would have been neat because of the rhyming nature of the title I chose, but alas, it seems he is a retail environment, which is OK as well. 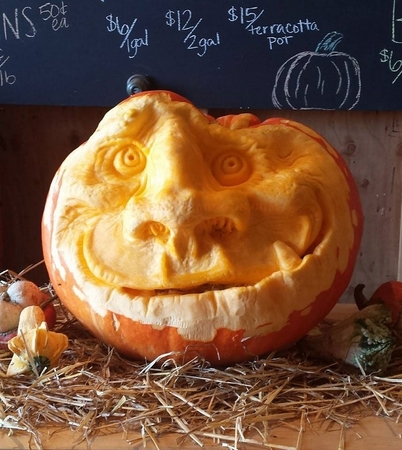 I like the carving though, so that is why you are reading this. It's a great pumpkin.